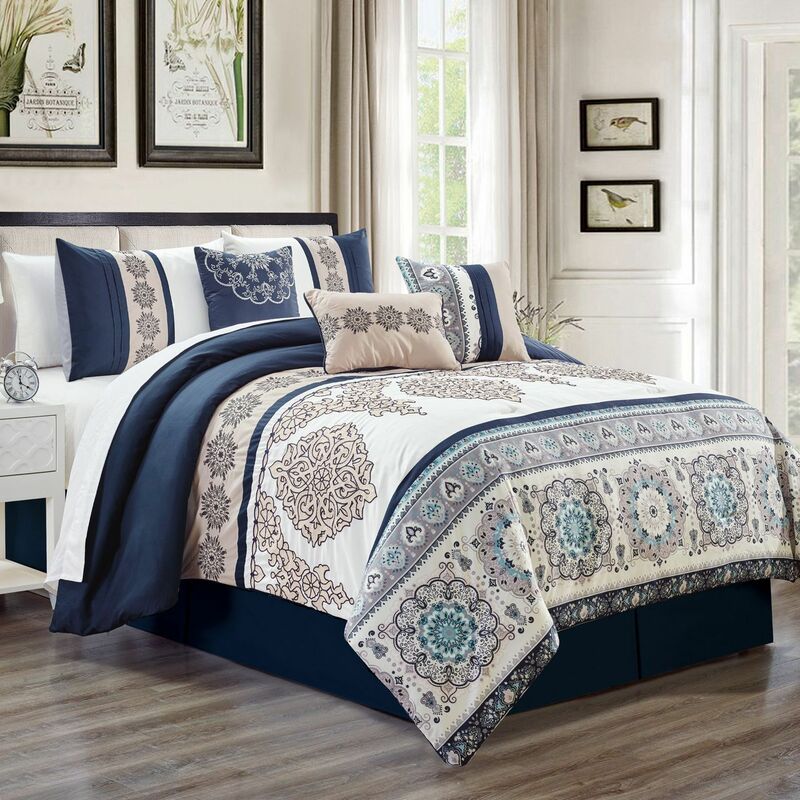 Add a touch of luxury to your bedroom with this Ryedale comforter set. 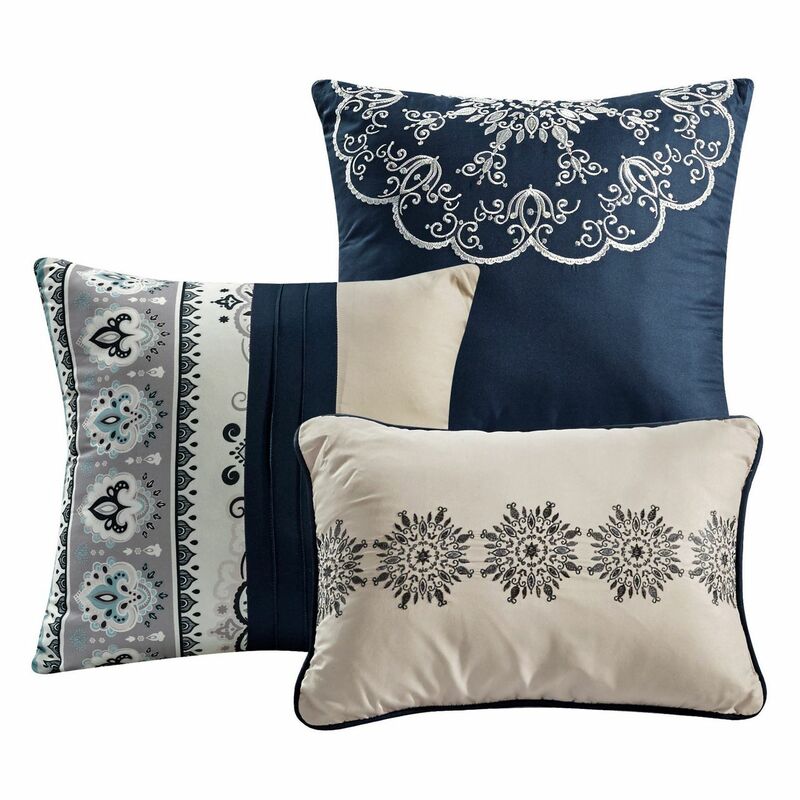 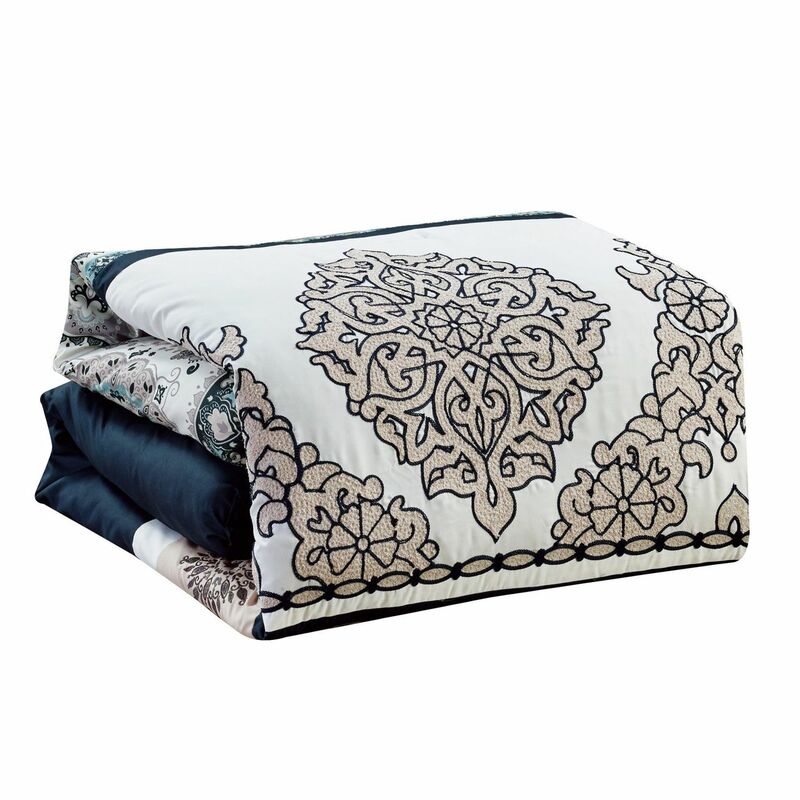 It features a combination of floral embroidery and print in tones of navy, beige and aqua. 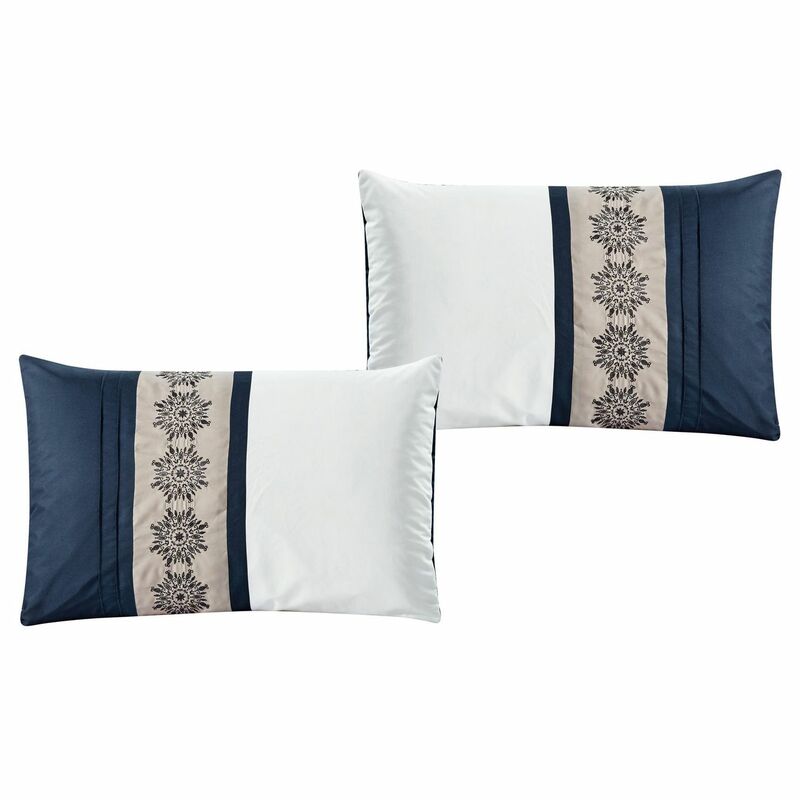 3 decorative pillows included.